Good Friday is for kids, too! For this year’s Good Friday Service, we’re inviting families of SK and up kids to participate together! 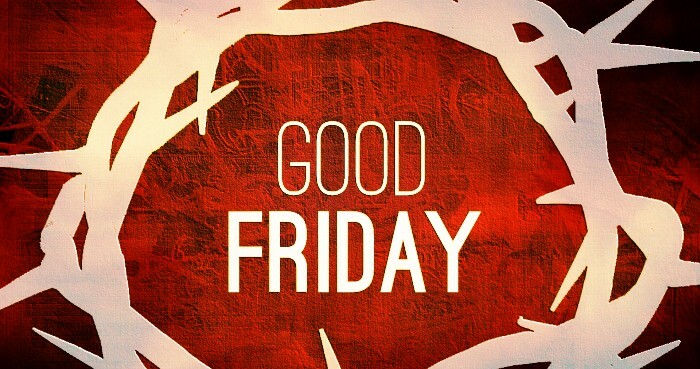 This year’s Good Friday service is on April 3 at 10:30 a.m. This service will also be a Communion Service—something brand-new for many kids—so we would encourage you to take some time for discussion–see below for ideas–and perhaps even try Family Communion at home before you arrive on Good Friday. That way, if you plan to have your children participate in Communion, you’ll have a good grasp of their understanding of it, and they’ll be more able to appreciate it as a meaningful and personal experience. If you don’t feel they’re ready to participate, please let them know that it’s the right thing to “pass” on it, and help them to understand what the Lord’s Supper means. Your enthusiasm for this special event will rub off, so help them to anticipate watching Mom, Dad, and others they know participate, and honour their curiosity by answering all their questions—even if you have to whisper the answers in the middle of the service! When was the last time your child saw you taking part in Communion? What a meaningful moment to share. Let’s make it count in their lives! See you there! There will be child care for infants (Infant Care room) up to JK (lower level).